HOW the U.S. Can END the Vietnam WAR... NOW! 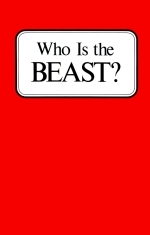 Who Is the "BEAST"? If you have his mark, you must suffer the seven last PLAGUES! Is he a mysterious superman world dictator yet to appear? ... Is he the Antichrist? ... or a government? ... or a church? "And I stood upon the sand of the sea, and saw a beast rise up out of the sea, having SEVEN HEADS and TEN HORNS, and upon his horns ten crowns, and upon his heads the name of blasphemy." The second kingdom, which followed, then, we know from history was the Persian Empire, 558-330 B.C., often called Medo- Persia, composed of Medes and Persians. Some have said "pagan Rome." But will we be guided solely by the BIBLE INTERPRETATION of its own symbols? Then, if we will, the dragon is a symbol which means Satan, THE DEVIL. Notice Revelation 12. "The great DRAGON ... that old serpent, called the DEVIL and SATAN" (verse 9). "He was cast out into the earth ... the DEVIL IS come down unto you, having great wrath ... and when the DRAGON saw that he was cast unto the earth" (vs. 9,12-13). "And he laid hold on the DRAGON, that old serpent, WHICH IS THE DEVIL and Satan ..." (Rev. 20:2). But when the seventh HEAD of this great beast received its DEADLY WOUND in A.D. 476, was that the end? No, the prophecy says "HIS DEADLY WOUND WAS HEALED ... AND POWER WAS GIVEN UNTO HIM TO CONTINUE FORTY AND TWO MONTHS." The TEN HORNS represent ten successive kingdoms to follow OUT OF this kingdom. So, through the ten horns growing OUT OF this head (the Roman Empire of 31 B.C.-A.D. 476), the BEAST (for the ten horns are PART OF the beast) continues until the Second Coming of Christ. The 7th head with its 10 horns, in the 17th chapter, will be, as the 17th chapter explains, the revival of the BEAST, the Roman Empire, "out of the bottomless pit" by a "United States of Europe," or federation of 10 European nations centered within the bounds of the old Roman Empire. (Rev. 17:12-18.) This is actually beginning today! The NUMBER of the "BEAST" ... 666 — Whose Number Is It? Where shall we find that mysterious number 666? Does the pope, as some claim, wear it on his crown, identifying him as the BEAST of Revelation 13? Or must we look for it elsewhere? In the Greek, the language in which Revelation was written, this name is "LATEINOS." It signifies "Latin man" or "the name of Latium," from which region the Romans derived their origin and their language. This word, too, signifies "ROMAN." In the Greek, L is 30, A is 1, T is 300, E is 5, I is 10, N is 50, O is 70, S is 200. Count these figures. They count to exactly 666! But the same numbers also branded in Latin on the man who dominated the puny 6th head of the symbolic beast. Next, notice II Thes. 2:3-4. The day of Christ — and the coming of Christ — shall not come, until there be a falling away, and a "MAN OF SIN" be revealed. He exalts himself above all that is called God. As God, he sits in a temple claimed to be the temple of God, showing himself to deceive people into accepting him AS God. God is our HOLY FATHER. This man, then, would claim the same title. This wicked man is to be DESTROYED at, and by, Christ's coming (verse 8). Notice verses 9-10: "even him, whose coming is after the working of Satan with ALL POWER and SIGNS [miracles] and lying WONDERS, and with all DECEIVABLENESS of unrighteousness ...."
This IMAGE — man-designed and man-ruled church government — compelled people to WORSHIP THE CHURCH! And since the church was organized into a worldly government, this was worship of the IMAGE — FALSE worship — IDOLATRY! !